Ooops! Someone goofed when redacting all information about President Obama from a motion filed in the Rod Blagojevich trial, and the judge had to call an emergency meeting. Meanwhile the unredacted material leaked out. Former governor Rod Blagojevich’s defense team asked Thursday to issue a trial subpoena to the President of the United States of America. The motion, intended to be heavily redacted, was improperly edited — the full document was easily viewable if the text is copied and pasted to another document (an error first revealed on Capitol Fax). Read the details at the Ward Room, linked above. Here is the original motion requesting that Obama be subpoenaed. The judge held an emergency hearing to discuss this terrible mistake. 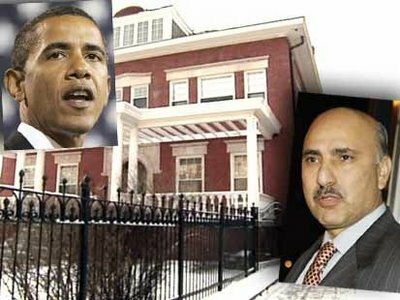 The Rezko-Obama land deal has arisen again. As you can see, this information was being discussed in Chicago way back in 2006, but somehow it never really became an issue in the 2008 primaries or general election campaign, thanks to the bought-off corporate media. Mediaite breaks down the material in the Blagojevich motion, and provides helpful commentary. The horse has been beaten to death, Rezko turned government witness and Obama has come out of this clean. A boneheaded mistake is miles away from insinuating criminal behavior. Fanning the flames with innuendo of a criminal behavior is a cheap shot. were laid to rest pretty fast in the mainstream, and no one really got answers to anything. It’s probably why you are so sensitive to topics that continue to come up. When you can’t answer the question, frustration rises. If it was beaten to death, and you know exactly what took place, perhaps you would share the information so we can all be as comfortable as you are about Rezko. accusations were put to rest by U.S. Attorney Patrick Fitzerald. Obama did nothing illegal with Rezko. 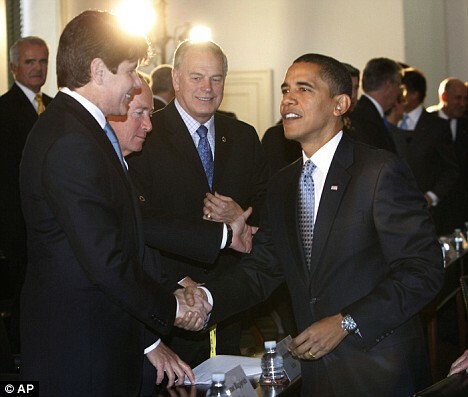 It’s Blagojevich that Rezko is cooperating against, not Obama. President Obama’s relationship with Tony Rezko is relevant and necessary Fed. R. Evid. 404(b) and 406 evidence. I wonder, did he mean 404(b) or 405(b)? I’ve deleted sniping comments without substance. If commenters want to attack each other, please share your email addresses with each other and do it privately. These stories are highlighted at Memeorandum, but Jerelyn is the only access blogger who has posted about them. I’m sure this will be heavily covered at the Cheeto once they get the word. Or not. At a news conference this week, he called U.S. Attorney Patrick Fitzgerald a coward. Mr. Fitzgerald brought the corruption charges against Mr. Blagojevich and has challenged the former governor’s effort to make public all 500 hours of secretly recorded tapes at the heart of the case. 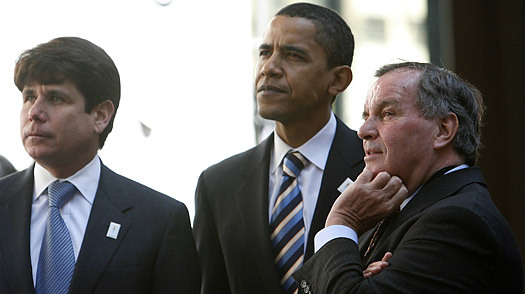 In an 11-page motion filed Thursday, Mr. Blagojevich’s attorneys argued that only Mr. Obama could resolve what they called contradictions between his public statements and the prosecutors’ case. Sorry, in my mind, there is no other news. Post your links freely in the comments and have a fabulous Friday!